The controversy that rocked Dancehall star Shatta Wale and his baby Mama seems to be totally over.Wale and his beloved girlfriend of many years have once again proved that they are unbreakable after their union.Meanwhwile, there are vigorous preparations currently going on at the Shatta Movement Empire. Many SM fans have shown their support to their leader in recent times. Michy also has not folded her arms but is also actively involved in promoting the album. 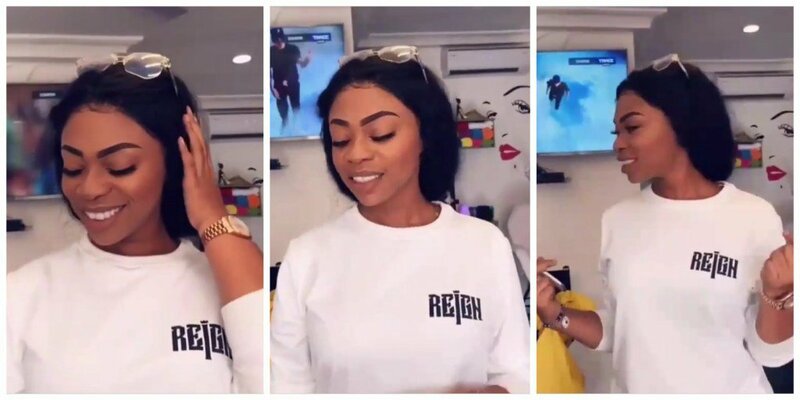 Shatta Michy was spotted in a new customized T-shirt for ‘The Reign album’ launch. Meanwhile, the pair has announced of a new collaboration and fans are eagerly waiting for the release. The ‘Reign album’ launch will take place on the 13th of October.